Since we have phased out the dirt bikes, I have had ideas to re-purpose the field’s use. 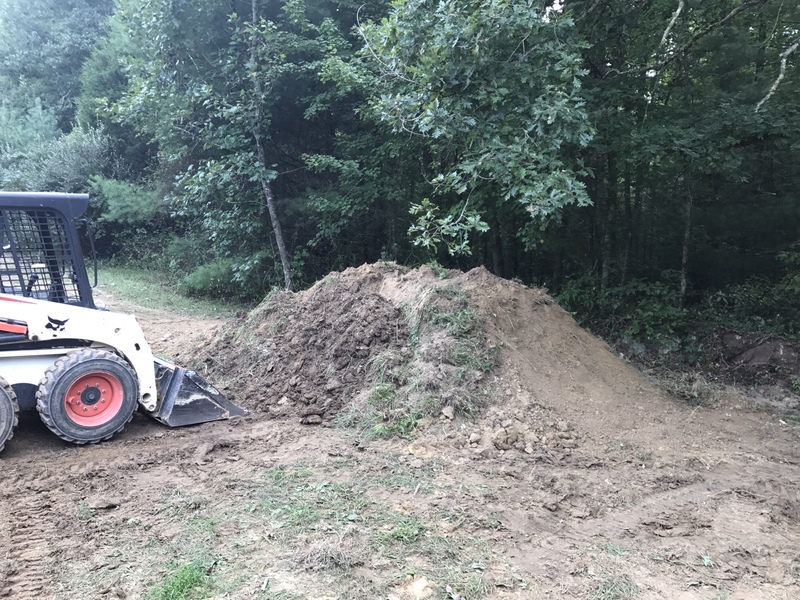 Mowing with the berms and jumps in place was kind of a pain and created areas that had to be weedeating tp keep the ragweed at bay. Man, that stuff is veracious. 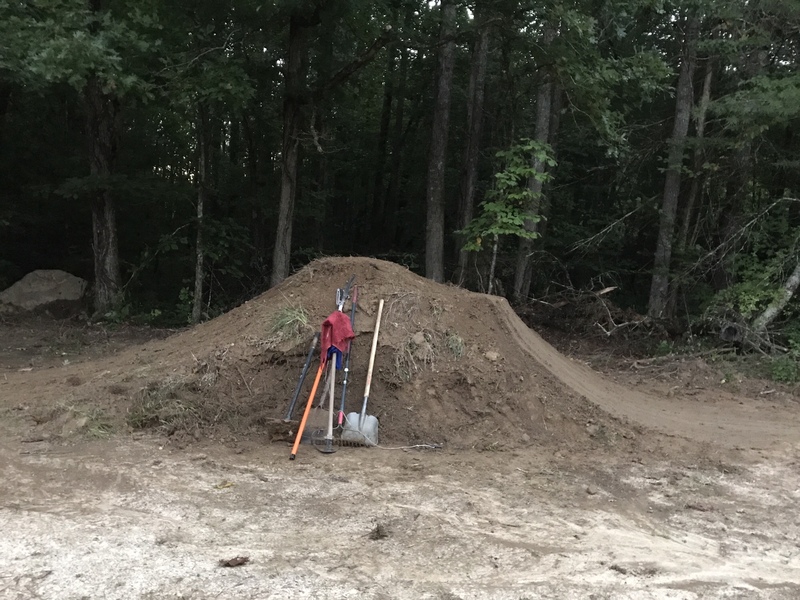 So I rented a machine and scooped all the dirt and created some dirt jumps under the oaks, along the west side of the field. 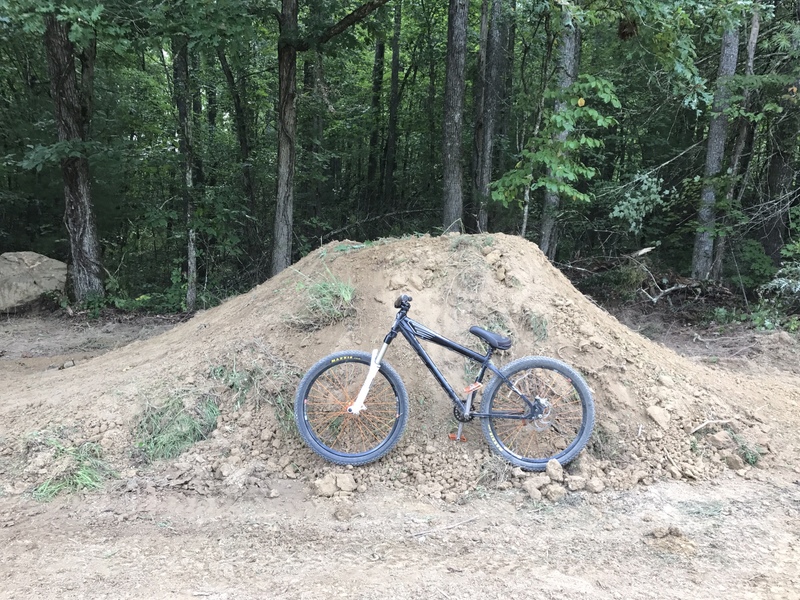 I’ve had my eye on this area for dirt jumps for quiet a while. Its well shaded and really only sees morning sun. 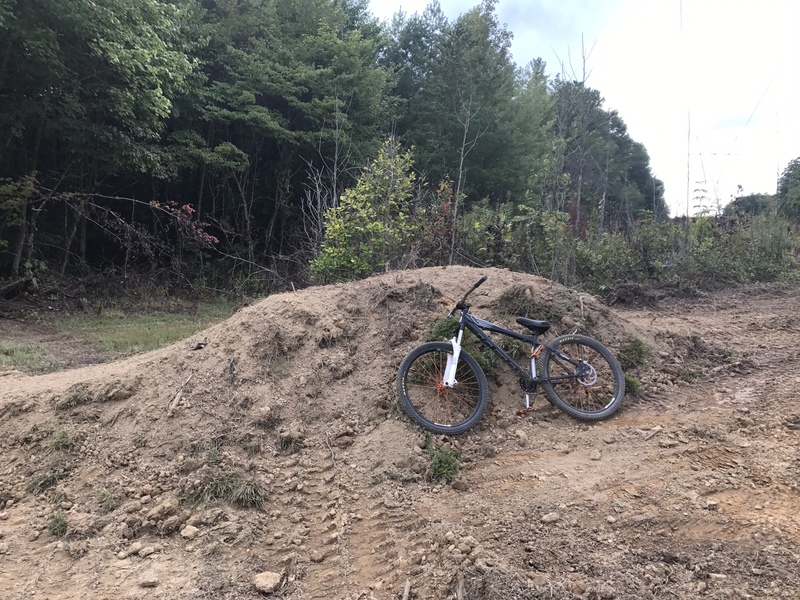 The dirt in this area always stays nice and moist thus making it a great location for low maintenance dirt jumps. 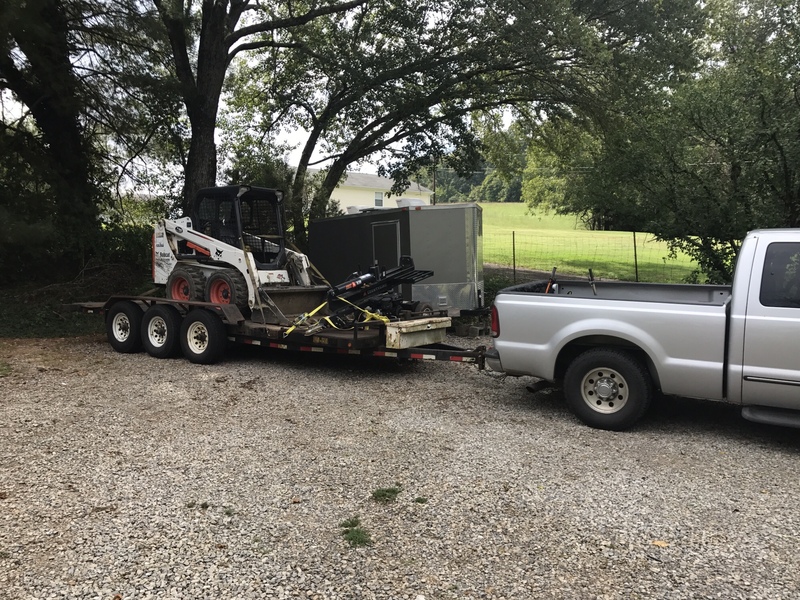 Clearing with a bobcat is always fun and very satisfying destruction. It went pretty smoothly except a few run ins with some hornet and yellow jacket nests. For the most part the hornets couldn’t puzzle out that a stingable human was in charge of the machine. Whereas those yellow jackets knew right away where to attack. I huge thanks to Corey for coming up and helping me shape the set. The only other jumps I had a role in was Bigfoot and those where built over years, so working out spacing, angles, etc. worked itself out naturally. Unfortunately I got the spacing between the first and second jumps way off and the second just just isn’t big enough. It needs to be either way taller or longer. 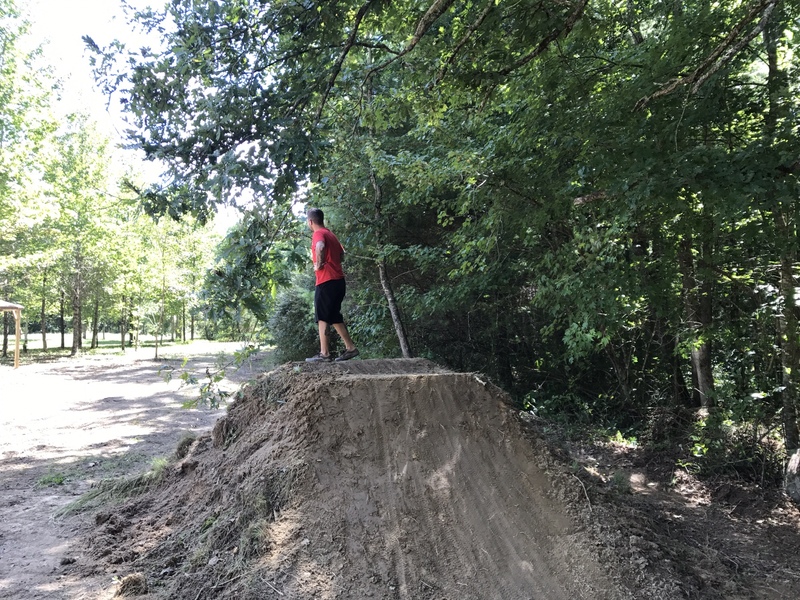 I think we will take the dirt from the first jump and make the second longer. The remainder of the dirt will be used to create a nice set-up roller to help get the set speed just right.